Most of the restaurant players, small or big food chains, and other allied businesses perceive the Food License from FSSAI (Food Safety and Standards Authority of India) as mere a permission to operate food businesses. Find out how to get the FSSAI License for your restaurant here. However, very few people know that the FSSAI license can be used as a marketing tool to increase business. Thanks to the Maggi Controversy and its extensive coverage in media, most of the people know about the FSSAI food licensing & registration system in India, yet not a lot know the way in which it can impact their business and what the benefits of FSSAI License can be. In this article, we will discuss a few points on the FSSAI food licensing & registration system and the impact it can have on your restaurant business. Most of the restaurants and food outlets put their logos on the menu to make their customers aware of their FSSAI registration. We also see the FSSAI logo on different packaged food and beverages. This logo depicts the trust and validity of the product; that it is safe to consume. FSSAI logo with license number placed on menu, boards or pamphlets can help food outlets increase their business. There are a lot of unorganized players who do not possess an FSSAI license, and if your restaurant is certified by FSSAI Registration System, then the certificate can add to the USP and attract more customers. Having an FSSAI License also gives you a competitive advantage as customers trust the hygiene and quality of food outlets which possess a food license more as compared to the outlets which do not. It also helps in gaining the trust of consumers leading to a loyal customer base. 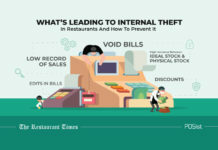 You can also place the Food Certificate on a particular wall of your restaurant, the entrance or even the billing counter to attract more customers. 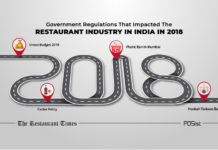 Most of the new food outlets and restaurants avoid the FSSAI food licensing & registration system to save money and to avoid the hectic process of documentation in the early days of the restaurant business. However, the procedure is quite simple, and there are a lot of legal consultancies which can help you in getting an FSSAI license with ease at a nominal fee. This expense is far less than what you may have to bear in the form of legal penalties or fines due to not having the license at all. To avoid this, you as a restaurant owner should get an FSSAI license with other valid permissions before officially opening the outlet. There may be instances when a customer takes legal action against the restaurant in case of food poisoning, allergic reactions, etc. The FSSAI license provides a cushion for restaurants in such cases, as it is given that the food outlet or restaurant is certified to sell food items follows certain instructions and standardized process and products. However, on serious complaints and allegations even food license cannot save you from legal actions, and at the same time, FSSAI may cancel the license. Therefore, the FSSAI food licensing & registration system helps ensure the quality of food at your restaurant. Those who are opening the restaurant for the first time, or starting a new outlet must possess a food license, not just due to legal formalities or to avoid fines and penalties but to gain acceptance among consumers as well. Most of the people will perceive your restaurant as a brand if your restaurant is certified through the FSSAI Registration System. In the early stage of operations, it is very hard to market or make people aware of your restaurant, but with the FSSAI logo, your new restaurant would be widely accepted. Moreover, to attract more and more customers, the new restaurant can also use FSSAI logo on their bills and packaging for home delivery which will further enhance your relationship with your customers. 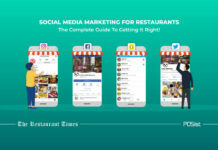 If you are already a renowned restaurant or food outlet and you want to replicate your success in a different area of the same state, then you can use your existing food license. Also, if you want to go big and open a chain of outlets in a different state of the country, then you have to get a central license from FSSAI. The FSSAI food licensing & registration also helps restaurant owners to get bank loans and funding for expansion. However, only food license alone will not facilitate the funding, but other sale taxes and financial documents are also required. In today’s world, getting big-ticket businesses and corporate events aren’t easy for any restaurant or food outlet due to their strict and tight regulations. Apart from the registered tax number at the state level and central level, many corporations require food licenses from FSSAI. So, FSSAI food licensing & registration system is as important as the other essential papers and legal forms. So it is more than a necessity than a need of just getting the permission of operating the business peacefully. FSSAI expects that every food outlet and restaurant that is certified under the authority should follow certain rules, procedures, and process to maintain a standard and hygiene in the kitchen. Moreover, the guidelines from FSSAI help restaurant owners to procure standard raw materials and grocery which further gives assurance of quality food. According to news, only 1 out of 15 food businesses are registered with FSSAI. There are around five crore food businesses in the country, and only 33 lakhs of them have followed the FSSAI food licensing & registration system. Some years back, FSSAI took on famous noodle brand Maggi for excessive amounts of lead. Later, many small and big food outlets and restaurant chains were raided on the grounds of Food adulteration and hygiene. Post this event, many food outlets rushed for their registrations and while some of them improved their kitchens and outlets. Food Safety and Standards Authority of India had after these events given the mandate to all the food businesses to register latest by May 4, 2016. Below are the details on how to apply for a food license for your food outlet and restaurant. 1. Central License– Central License is issued by the FSSAI Regional Offices. Find out about the documents required for Central License here. 2. State License– State License is issued by the state authorities. Find out about the documents required for State License here. 3. Registration– In case you want to apply for state license/registration, click here to view the list of states accepting applications FLRS. To Know the detailed process for the filling application click here. Find out about the documents required for registration here. Stay tuned to Restaurant Times for more updates on restaurants, the latest food trends, technology, policies and much more! can you help me getting done with the procedures or refer any consultant getting it done. It is a must to have a genuine FSSAI license number on the food products that are being sold. I have taken franchise to run bakery. Only purchase and sell. Should I possess the licence(fssai)? Can you explain me or list down the documents required for FSSAI state licence? FSSAI License is by far the most important permits that a restaurants needs to acquire to run the food business seamlessly. This is a very informative article. Great work! 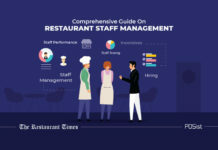 Receiving legal counsel may help you map out the steps and ensure that nothing is missed according to the laws in your restaurant’s city and state. Great Read Restaurant Times. Impact of FSSAI license on the restaurant is very significant. A restaurant simply cannot survive in the Indian F&B industry without a FSSAI license. The impact can also be seen on the online food delivery app!